The Erie Railroad crossed southern New York and eastern Pennsylvania to Binghamton, NY, on its way to Buffalo and Chicago. In the early '60's, it merged with competitor, Delaware, Lackawanna and Western to form the Erie-Lackawanna. When Conrail took over eastern lines, including the EL, the route was downgraded, Conrail's main route west being the former New York Central. It became known as "The Southern Tier". 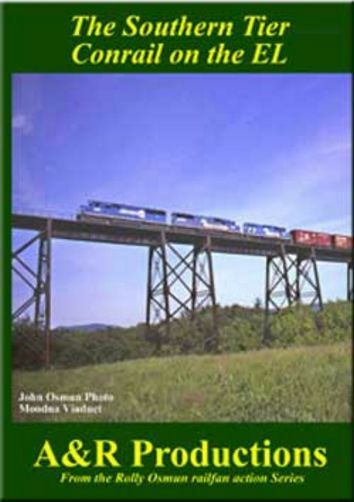 This program covers from Port Jervis, NY, to Johnson City, NY, including Callicoon, Cohocton, Hancock, Gulf Summit, Deposit and Starruca. Running time 1:40, Maps and Narration. Copyright 2011, A&R Systems, Inc.